Students claims that the appoint of Gajendra is a try by Government of India to dismantle the autonomous structure of FTII and to push an RSS agenda in the institute. 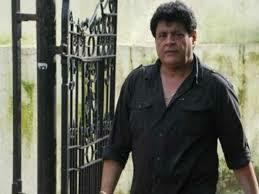 They claim that Government has many better options available with it, then why they decided to appoint Gajendra Chauhan. Support for the Students of FTII- The protest by the students of FTII has got support of six political parties, many intellectuals and famous film actors. Famous film actors like Rishi Kapoor and Anumpam Kher also raised their voices against the appointment of Gajendra. Even there are voices against Gajnerdra from inside the BJP. Where Government of India Failed- The biggest failure of the government of India is in handling this matter, so far government is neither available to convince students nor they are available to find many solutions. There are news that the Government ignored many famous film celebrities like Amitabh Bachan and Rajikant while selecting Gajendra Chauhan. Day by day, this issue is becoming stronger and more and more people are coming the support of students. The government of India is already blamed for pushing its own men in various universities across India and pushing out all men who are opposed to its policies. With the support of political parties, this protest can take a big shape, thus making it even harder for the Modi government of handling it. I hope that this matter will be resolved soon for the betterment of students of FTII and for the whole nation; otherwise, we may see a strong student protest in coming days.